I'd been too afraid to go to a gyno because I've had bad previous experiences, but this guy is great andhis staff makes you feel safe. They did a full work up on me and it was all super professional--they even have a viewing TV for the patient for the transvaginal ultrasound, which I thought was amazing. I previously was travelling from the bottom of Brooklyn to Lenox Hill to go to a ridiculously overpriced doc, and this guy is in network and is better. I'd been too afraid to go to a gyno because I've had bad previous experiences, but this guy is great and his staff makes you feel safe. They did a fullwork up on me and it was all super professional--they even have a viewing TV for the patient for the transvaginal ultrasound, which I thought was amazing. I previously was travelling from the bottom of Brooklyn to Lenox Hill to go to a ridiculously overpriced doc, and this guy is in network and is better. Amazing staff very nice people and everything doesn’t take long also the doctor very funny and friendly. **PLEASE NOTE: FOR PATIENTS SEARCHING FOR AN APPOINTMENT IN OUR MANHATTAN OFFICE, THE PRACTICE ONLY ACCEPTS MAJOR PPO PLANS, 1199 AND GHI. UPON MAKING AN APPOINTMENT THE PRACTICE WILL REACH OUT TO YOU TO CONFIRM YOUR INSURANCE AND APPOINTMENT. THIS WILL ALLOW US TO PROVIDE THE BEST POSSIBLE PATIENT EXPERIENCE! 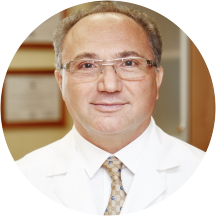 ** Dr. Shifrin graduated from Kuibyshev Medical Institute in 1981. He received his medical degree in 1981 and provided medical services in Russia for almost 10 years. In 1989, He migrated to the United States and found his home in the heart of Brooklyn, NY. In 1996, Dr. Gregory Shifrin opened up his private practice. Dr. Gregory Shifrin is a Board Certified OB/GYN who provides compassionate care and offers personal attention to his patients. He has privileges at New York Methodist Hospital in Brooklyn and Cornell Medical Center in Manhattan. Dr. Shifrin was understaffed and therefore the wait was somewhat long since it was President's Day but I'm just glad his office was open. He was very professional and welcoming and made me feel completely comfortable with my checkup and procedure.He and his staff did a wonderful job! Would highly recommend. I have been looking for an OBGYN in nyc that I loved since I moved here and I finally found one. Dr. Shifrin made me comfortable, was FAST and PAINLESS. I loved my appt and everything about him and his practice.Will 1,000% be back and recommend him to friends. Thank you Dr. Shifrin!!! My first time here today the doctor was amazing and greeted me so nicely the assistant he had was so sweet and polite and they were laughing and talking through the whole thing which made me very comfortable. I definitely would recommend this place very clean and organized. I was very pleased with my visit (first time patient). The girls at the front desk were very professional, sweet, and welcoming. Dr. Shifrin was also very pleasant, attentive, and made me feel very comfortable. Overall, I had a great experience. Great experience. After having the same gyno for almost 15 years, I was nervous to see someone new. But I felt so comfortable at this office. I would highly recommend them. The visit to the doctor was very pleasant. Even though I had to wait a little long, but considering that it was Saturday, I didn’t mind. Everybody in the office acted very friendly and professional. Dr. Gregory Shifrin is the best. He is amazing. Very quick visit. No empathy, it was like a card transaction. Rushed visit and conversation, no eye contact. I would not reccomend. I have found a new doctor! I'm always nervous about going to a doctor based on reviews, but this time I am glad I did! Dr. Shifrin and his staff were very courteous and friendly. The office is very clean withupdated instruments. The doctor talked to me about a procedure I needed to get done and answered all my questions. He has a great bedside manner. I'm so happy I found him. I will definitely go back again. I wish I could give this practice a millions stars! Everyone from the front desk to the physician was beyond wonderful! The wonderful female physician gave me a wonderful examination, she was compassionate and actual listened to me, she didn'trush me out in 15 min like most physicians. If u are looking for a GYN physician, this is the practic to go to! Kudos to everyone in this practice!!!!?? I wasn't extremely pleased with my appointment. I went in to discuss long term birth control options, with a particular preference. The doctor tried to push other options on me, saying he doesn't like or recommend the one I chose. Idon't feel that the options he gave me are best suited for my needs. I’m so grateful that I was able to get a same day evening appointment before my travels. The appointment was great. Rr. Gregory Shifrin is my gynecologist since 2000. He is always very thorough and clear. The technology for ultra sound is amazing! The staff and the doctors are extremely comforting. Dr. Shifrin is an amazing doctor. He is thorough, informative, personable, and extremely polite. He makes you feel comfortable from the moment you walk into the office. I have had several doctors but, and this one is the keeper. I would recommend him 100% . This was my worst experience ever! First of all I had to call the office to confirm my appointment cause they don't look at Zocdoc at all. At the time I was almost 8 weeks pregnant and when I told thenurse that she asked me if this is a good or bad news, I was shocked! When the doctor did the pelvic exam he didn't speak at all about what is he doing. The ultrasound was started by my doctor and then he left the room and a nurse continued and it was so long, even had some pain. She didn't tell me any information, I had to ask about the heartbeat and when I asked for pictures she said the printer isn't working. After that, I spoke with my doctor, well he spoke, he told me all the basic information about the food and vitamins and after that, he told me that he doesn't accept my insurance for pregnancies because is not convenient. Then, of course, he gave a bunch of details why is not convenient and that he is losing a lot of money with pregnant women. He even told me that people know how good he is and when he doesn't accept the insurance they want to pay cash, I told him I don't want that. There was no time for my questions, he did not care. Left the office almost crying. Never had such a bad experience. First time visit and it was a pleasure! Office is clean and staff if very helpful. Dr. Shifrin made me feel very comfortable during my visit and was able to assist all my needs and answer all my question. Will definitely be returning! The entire staff and Dr. Shifrin were absolutely wonderful. Would recommend to anyone! Visited Manhattan office. No wait time and very courteous staff. Doctor was very attentive. Will definitely refer my friends. Dr. Shifrin was wonderful, as was his office. There was a slight mixup with my appointment time, as I had scheduled 5:30 through ZocDoc but the office had me down for 5:00. However they still let me come at 5:30 withno issues. Shifrin was incredibly friendly and funny, and took his time listening to me and explaining everything in detail. He didn’t rush me at all, even when I had a million questions and kept calling him back to ask more. The office techs and receptionists were also friendly and helpful and made me feel very comfortable and welcome. I absolutely adore Dr Shifrin and his staff. I spent so many years trying to find a good obgyn and I’m so thankful I found this man. Dr Shifrin is incredibly kind. I accidentally showed up a day early and they didn't even mention my slip up and saw me anyway. The office is so beautiful, too! I am a patient for life. I had such a pleasant experience with Dr. Shifrin and his entire staff! The office was modern, clean. The staff was lovely, kind, and highly efficient. The doctor and his nurses were down to earth and funny! If you are hyper critical or super sensitive about 'political correctness', this may not be the placefor you. I happen to be an extreme liberal, but I appreciate humor, warmth, medical expertise, and compassion above all else, so this doctor hits all the marks for me! I would rather be laughing than crying when I leave the gynecologist; thank you Dr. Shifrin! Just moved to the area and needed a new OBGYN and went with Dr. Shifrin based off of his reviews on ZocDoc - WORTH IT. The staff from the receptionist to the nurses were all very kind and welcoming, and Dr.Shifrin himself is amazingly personable and takes/makes the time for you. Absolutely the best experience. Dr.Shifrin listens to your concerns. He explains everything in detail and is very patient and caring. Dr. Shifrin is wonderful. Very thorough, caring and didn't rush me. He answered all of my questions. Very professional. Polite and courteous. All of the staff were Very professional. They are able to perform blood work and other tests in the office. They explained everything that they were doing and the results. Dr. Shiffrin is experienced and trusted professional. Many of my friends are his clients as well. Although Dr. Shifrin works in a fast-paced environment, trying to cover as many patients as possible, he did a thorough check-up, was very attentive during my visit and made sure all my questions were answered before taking his leave. His receptionists,however, barely deserve one star. Making an appointment through ZocDoc, I had mistyped my insurance ID. A lady from the office literally yelled at me through the phone for not being more thorough, complaining that she had wasted her time trying to find me. Not a good first impression. Fine. Yet, even upon arrival, the entire greeting area will put you in a foul mood. The receptionists would yell at each other and I had gotten more attitude while filling out my paperwork. Note to self: Be aware of who's representing you. Not sure if I'll be back. Dr Shifrin and the entire staff are very friendly and professional, I felt at ease the moment I checked in to the end. I had to pay out of pocket for this visit and I appreciated that they were transparent aboutthe costs up front, it was reasonable and fair. I intended to see Dr. Shifrin on a temporary basis until I had insurance,, but based on my experience today, I will be seeing him regularly. It's well worth traveling to another neighborhood, and the location was convenient enough to access by train. I also can't thank Dr Shifrin enough for his insistence on getting the sonogram, I will forever be appreciative of his kindness. Many of your patients have recommended you as a good doctor. But I am going to recommend you as a great human being and fine gentleman. Nine months of my pregnancy could have been a nightmare without your medical supervision. Mybaby was able to see the light of day because of your professionalism and kindness. Thanks for making my jorney to become a mommy a dream come true! Besides being very qualified GYN doctor, he has ability to calm a patient down when the diagnosis require operation or procedure. Stay positive is one of the qualities many Russian speaking doctors are missing . Each time I visit Gregory ,I bless him for his hard work and people skills . Straight to the point and professional. This is the worst doctor's office I have ever visited in my 30 years of living. It seems like asking questions in this office is forbidden. A simple question like, "Why do I need a blood test?" responded with "BECAUSE YOUARE PREGNANT!" in a nasty tone is given. THEN my follow-up visit, the front desk tells me that my previous appointment was because I was sick. Clearly I made an appointment because of my positive home pregnancy test. When I asked what it says in my patient file, it was like asking them to hack into secret service files. Nobody had a clue, nothing was written down, or they just couldn't tell me. I asked the doctor to prescribe me a rx of prenatals and she gives me samples containing the 1 allergen that I have. This Dr. did not care about me or whatever I had to say. This is my first pregnancy and they made this experience absolutely miserable. I would NEVER recommend anyone even walking by this place, nonetheless make an appointment. However, I'm sure if you're Russian, you would get better treatment.